Minister d’Ambrosio joins Federal Labor MPs Peter Khalil (Wills), Ged Kearney (Cooper) and her state Labor colleague for Pascoe Vale Lizzie Blandthorn in signing the Climate emergency declaration. The Minister has done important work as part of the Andrews Victorian Labor Government with the passage of the Climate Act (2017) and Victorian Renewable Energy Targets, the newly announced solar for homes and solar for renters programs. Lily D’Ambrosio later committed to an extra $250,000 for lighting upgrades of the highly used Upfield shared Use cycling Path, with Cindy O’Connor. “There needs to be more done with cycling infrastructure and the Upfield Bike Path than just more lighting. “Good cycling facilities also encourage better gender balance with more women and children cycling. Cycling is booming in Brunswick and we need facilities built for present and future use. “So if Lily can have a word with Transport Minister Jacinta Allan about including the veloway, that would be super.” said John Englart. Climate Action Moreland included an elevated cycle veloway as well as shared ground level paths as part of our Level Crossing Removal submission which also referenced the Extend the Upfield Bike Path submission. Entry filed under: Climate Emergency, cycling, election, Labors Climate Record, Politician education, Vote Climate. 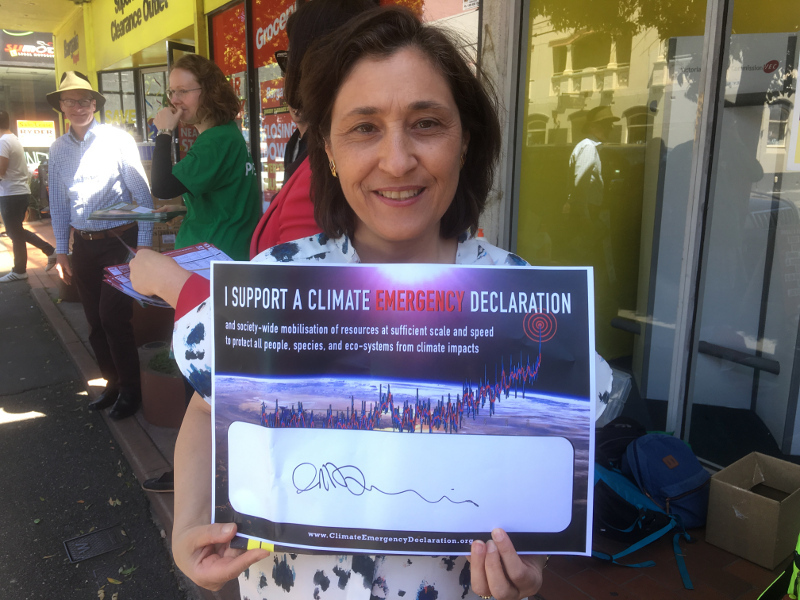 Tags: Climate Emergency, Energy Minister Lily D'Ambrosio, Lily D'Ambrosio, vicvotes, vicvotes2018.